After Michigan newspaper editor Steve Faulkner is laid off from his high-powered job, his 17 year old adopted son persuades him to go on a 1,000 mile canoe journey retracing the discovery route of the Mississippi. Braving the elements, father and son nearly run out of money and confront the ultimate challenge: boredom. 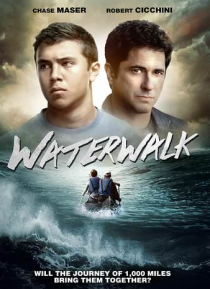 Waterwalk is a memorable look at a journey that defines their relationship.